Having a systematic approach to managing WHS is important but not all systems fit all situations. As an organisation your focus is on operational excellence and delivery of the business objectives, and making sure your employees are safe. We deliver a range of WHS services that will integrate with your organisational strategies and obligations and ensure you meet the WHS legislative standards. Working with a broad and diverse industry base our success is built on the identification, assessment and continued management of both strengths and deficits in WHS management systems. Solutions offered are innovative, relevant, cost effective and specific to client needs. Conduct regular checkups to help reduce the chance of illness or absence within your team. Develop a work health and safety management plan that assists in the development and communication of a safety. 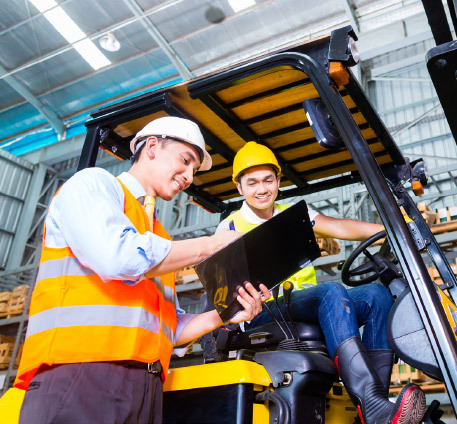 Conduct a workplace inspection to check for hazards and operational safety standards on machinery. Provide practical advice to help get the best possible outcome for the worker and business. Develop an injury management system to be followed when there is an injury in the workplace.